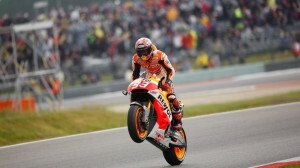 Marc Marquez produced a masterclass in difficult conditions at the Iveco Daily TT Assen to make it eight wins from eight races in 2014. 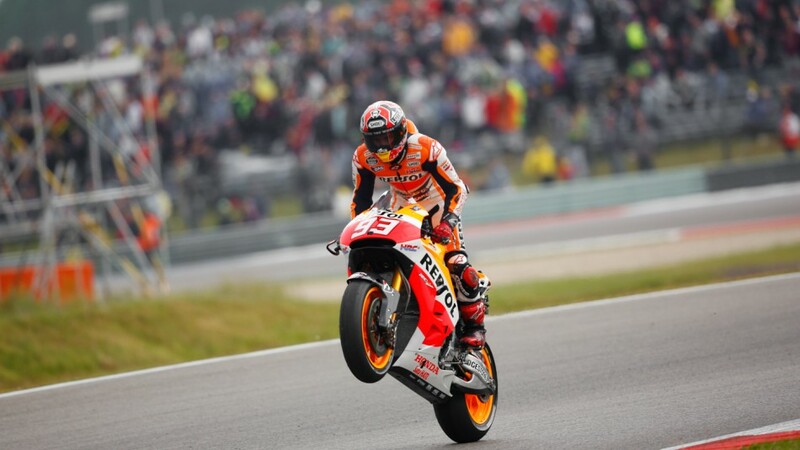 Dovizioso stepped onto the rostrum for the second time in 2014, with Pedrosa completing the podium after holding off the pursuing Aleix Espargaro (NGM Forward Racing) for several laps. Espargaro rode well to hold fourth, having started on pole on the â€˜Openâ€™ Forward Yamaha.